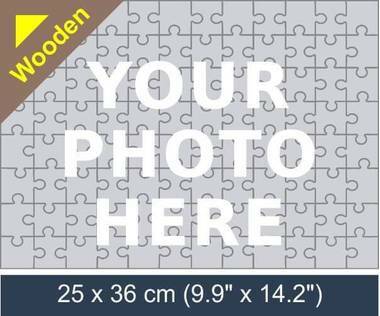 Create a wooden jigsaw puzzle with 96 puzzle pieces! You can personalise this 96 piece wooden jigsaw puzzle with your own image. Simply select a photo you like, upload it and we will turn it in to a wooden jigsaw puzzle. 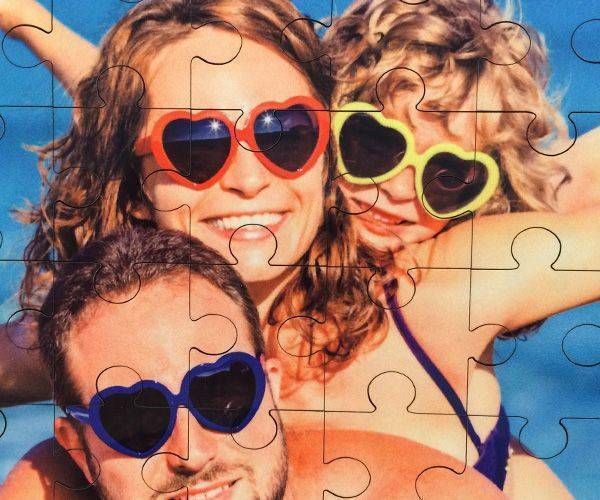 Personalised wooden jigsaw puzzles are great photo gifts, they are ideal for occasions such as Birthday, Wedding, Christmas and Valentines day. Surprise your friend, loved one, kids or relatives with a unique photo gift! 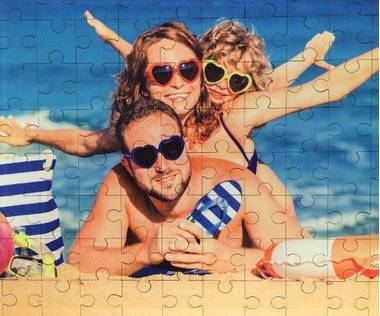 Doing a jigsaw is both entertaining and educational and as a child ages, it will be fun for them to do more intricate jigsaws. Managing to put all the pieces together will give them a real sense of achievement. They will be even more determined to complete the task in hand if the picture is something that is of special interest to them. 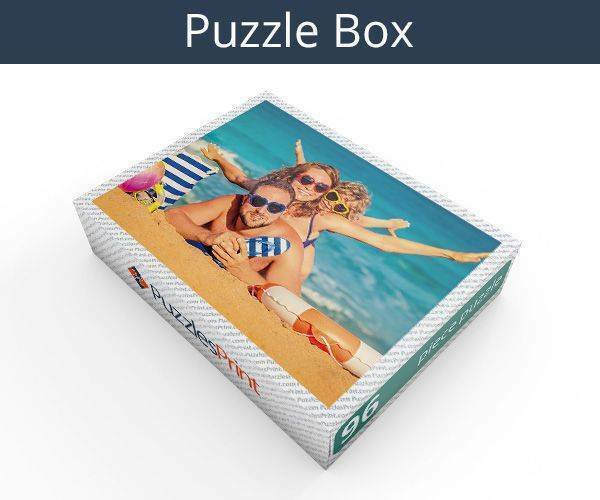 For a special treat, they could find themselves with a 96 wooden photo jigsaw that has both a picture of them and a special message from the person who bestowed the gift. When there are 96 pieces, it takes time and concentration to get it right. To aid the user, there is a picture on the box and they will be able to follow that and get their picture made up accurately. 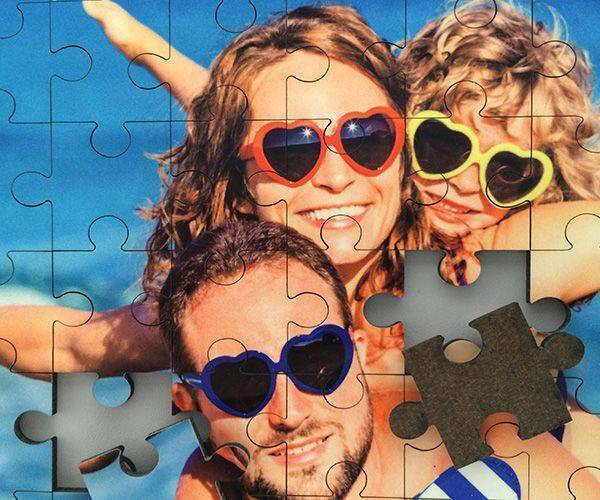 It won’t be long before there are other children – and in may cases adults – who will want a 96 piece personalised wooden jigsaw of their own. As long as it is possible for you to upload the picture, there is no end to the number of happy people you can make with just a bit of imagination. 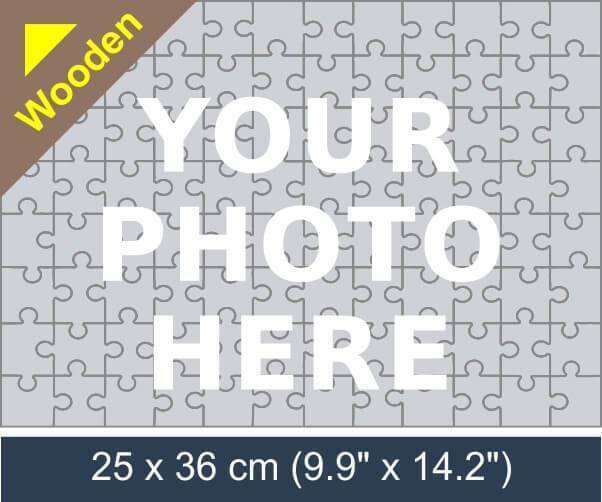 By purchasing this 96 piece wooden jigsaw, you will be providing someone with a life-long gift, as this is not something that will be thrown away in the same way that an ordinary jigsaw will be once it has been outgrown. This will be kept and shown to all and sundry, including future generations who will be delighted to make up a picture of their ancestor when they were young. The picture will also appear on the box and there is no reason why that cannot eventually be used as a wall hanging. 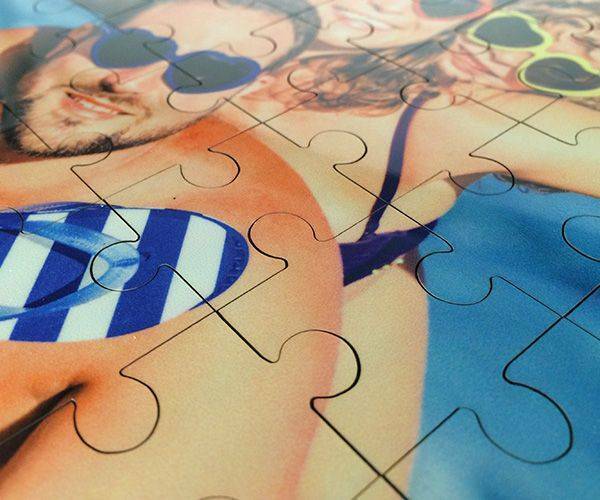 The jigsaw is the same and can be joined together and covered. As well as a toy, it can be another type of present as the receiver grows up. It can become a tradition to update the gift each year and a record of change can be kept. The picture is 9.9” x 14.2” and is made of good quality plywood. The picture clings closely to the wood and does not get damaged easily.